The Gillespie Approach–Craniosacral Fascial Therapy 3‐Day Infant Training teaches students the techniques developed by Dr. Barry Gillespie to treat newborns and pre‐crawling babies. 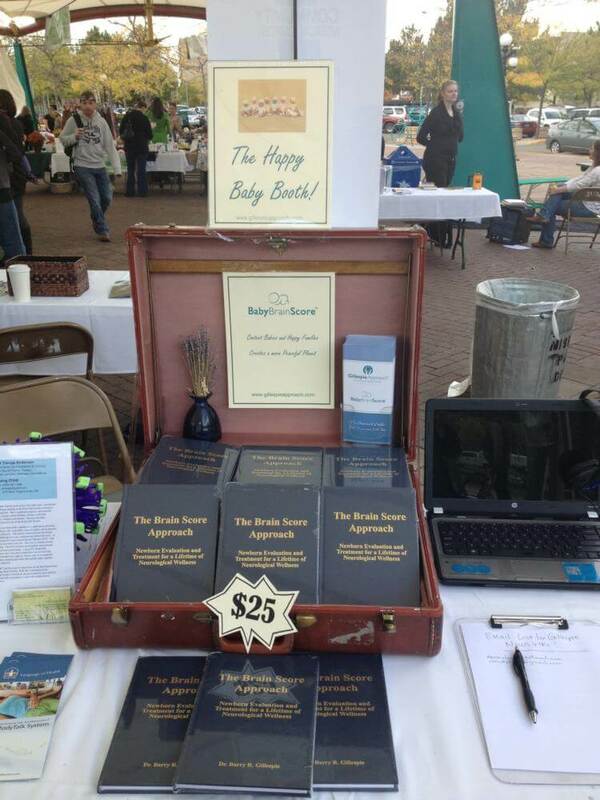 The Baby Brain Score (BBS), a screening tool that measures neonatal neurophysiology at birth, will be presented. 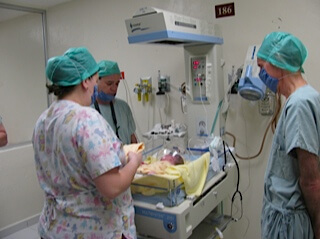 It is an effective method of manually checking the brain function of a newborn. If there is structural and neurological compromise, Gillespie Approach–Craniosacral Fascial Therapy may help correct the negative effects of fetal and birth traumas. The Gillespie Approach may prevent many long‐term chronic conditions from appearing later in life and, more importantly, promote optimum cognitive brain function as well as structural cranial development. Please note that the Gillespie Approach–Craniosacral Fascial Therapy 3‐Day Adult–Child training is a prerequisite for taking the Gillespie Approach’s 3‐Day Infant Training. This class, limited to 12 students, will fill early so register now. This is the foundation for mastering Gillespie Approach–Craniosacral Fascial Therapy for adults and children. During this hands-on-learning three-day course, you will explore the craniosacral fascial system. You will learn gentle yet powerful techniques with a great deal of treatment being exchanged during the seminar. Most participants find it personally and professionally transforming. Gillespie Approach–Craniosacral Fascial Therapy can also be used to enhance or complement other therapy. Students come from a wide variety of backgrounds, though no prior medical or bodywork experience is required to attend the training. Parents are encouraged to learn Gillespie Approach–Craniosacral Fascial Therapy so they can obtain the skills needed to work on their children. Workshops with CFT Global are hands‐on and practical. 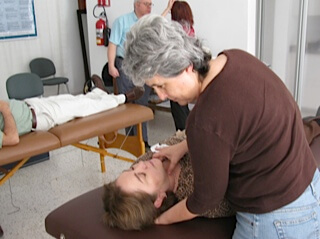 A great deal of treatment is exchanged during the training, giving participants lots of time to practice and feel confident about using Gillespie Approach–Craniosacral Fascial Therapy techniques. CFT Global’s teaching methods also incorporate sensory training and grounding exercises for strengthening crucial right brain awareness. Participants find it personally and professionally transforming. Early bird pricing is $1,400 through May 21. This is the foundation for mastering Gillespie Approach–Craniosacral Fascial Therapy for adults and children. During this hands-on-learning three-day course, you will explore the craniosacral fascial system. You will learn gentle yet powerful techniques with a great deal of treatment being exchanged during the seminar. Most participants find it personally and professionally transforming. Gillespie Approach–Craniosacral Fascial Therapy can also be used to enhance or complement other therapy. Students come from a wide variety of backgrounds, though no prior medical or bodywork experience is required to attend the training. Parents are encouraged to learn Gillespie Approach–Craniosacral Fascial Therapy so they can obtain the skills needed to work on their children. Workshops with CFT Global are hands‐on and practical. A great deal of treatment is exchanged during the training, giving participants lots of time to practice and feel confident about using Gillespie Approach–Craniosacral Fascial Therapy techniques. CFT Global’s teaching methods also incorporate sensory training and grounding exercises for strengthening crucial right brain awareness. Participants find it personally and professionally transforming. Early bird pricing is $1,400 through October 1. The three-day child-adult Gillespie Approach–Craniosacral Fascial Therapy course serves as the basic prerequisite for the specialized toddler, infant and newborn trainings. 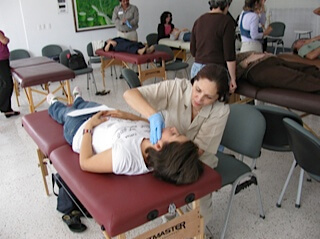 The student must have a general understanding and clinical feel of Gillespie Approach–Craniosacral Fascial Therapy (CFT) before learning how to responsibly evaluate and treat this unique population. We place an extremely high value on correctly evaluating vulnerable newborns with the Baby Brain Score (BBS) and treating them safely and effectively with CFT–Infant Driven Movement (IDM). Dr. Barry Gillespie has a highly trained global and Philadelphia team teaching his Gillespie Approach–Craniosacral Fascial Therapy courses. He does not authorize any course graduate to train other people to practice Gillespie Approach–Craniosacral Fascial Therapy. 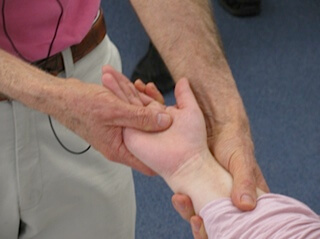 The three-day Gillespie Approach–Craniosacral Fascial Therapy adults and children course teaches students how to palpate and maximize brain motion with craniosacral fascial bodywork techniques. Gillespie Approach–Craniosacral Fascial Therapy integrates three therapies: craniosacral, fascial and oral work. Every student gives and receives many hours of therapy during this 22.5-hour course, which may help with her or his own healing. Anyone can take the training. We encourage parents to learn Gillespie Approach–Craniosacral Fascial Therapy to treat their children. If you are pregnant, you are still welcome to take the training. You will learn how to do the work on others but will not receive Gillespie Approach–Craniosacral Fascial Therapy from other students. At the end of the course, students are expected to be able to treat children and adults effectively. This class is a prerequisite for Gillespie Approach–Craniosacral Fascial Therapy newborn, infant and toddler training. The three-day Gillespie Approach–Craniosacral Fascial Therapy infant course teaches students the techniques developed by Dr. Barry Gillespie to treat newborns and pre-crawling babies. 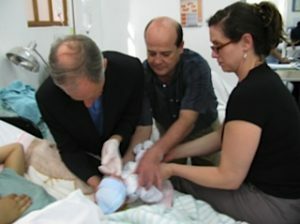 The Gillespie Approach–Craniosacral Fascial Therapy for older babies and toddlers is a blend of the techniques taught in the three-day adult-child course and this infant course. The provider will determine how to treat older babies and toddlers based on how the client presents and directs at each session. The three-day Gillespie Approach–Craniosacral Fascial Therapy adults and children course is a prerequisite for this infant course. Each student must email copies of her or his license to touch and malpractice insurance upon registration. 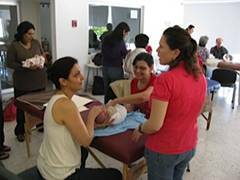 Students will have ample opportunity for hands-on work with babies under the guidance of the instructors. Dr. Barry Gillespie heads up the Gillespie Approach–Craniosacral Fascial Therapy hospital teaching team. 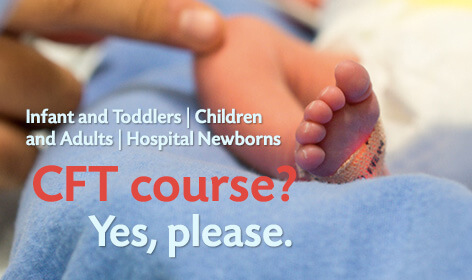 This course will be tailored to your specific hospital needs. The goal would be to teach the Gillespie Approach to four staff members at your hospital. With later teacher training, they would become the core teachers to train all future providers at your hospital. Dr. Barry Gillespie will be happy to discuss with you more details about this course. Please call him at 610–265–2522. One of the great aspects of teaching since 1983 has been meeting people who believe what Dr. Barry Gillespie believes: this work is changing the world. Please meet Kim Sherlock and Holly Steflik below. They are much more than just teachers. They fill the invaluable roles of the idea creators and decision makers at meetings to help move the work forward. 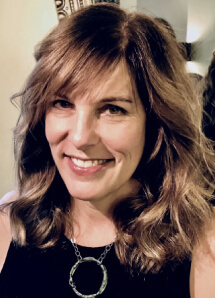 Kim Sherlock is a Pennsylvania licensed massage therapist and has been practicing Gillespie Approach–Craniosacral Fascial Therapy since 2008. 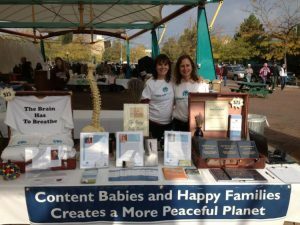 She was trained by and taught alongside Dr. Barry Gillespie, who developed Gillespie Approach–Craniosacral Fascial Therapy. 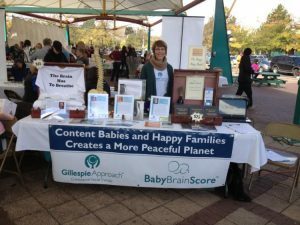 Since Dr. Barry Gillespie has retired from teaching, she is one of the few practitioners authorized to teach the Gillespie Approach. As a partner on the Gillespie Approach–Craniosacral Fascial Therapy Global Team, Kim Sherlock has taught classes in South Africa, the United Kingdom and throughout the United States. Kim Sherlock’s private practice is located in West Chester, Pennsylvania, and has grown tremendously due to positive client results. She treats people of all ages, from newborns to adults, and is highly referred for helping those with concussions, migraines, chronic pain and more. In addition to Gillespie Approach–Craniosacral Fascial Therapy, Kim Sherlock utilizes other fascia-focused therapies that help mobilize and release the fascia. She has trained in myofascial release, craniosacral therapy, massage cupping and gua sha. Kim Sherlock believes that fascia is oftentimes overlooked by conventional medicine and is a missing piece in optimizing one’s overall health. To learn more about Kim Sherlocks’s work, visit KimSherlock.com. Holly Steflik has been a licensed massage therapist with a full-time holistic health practice in Chapel Hill, North Carolina, since 1997. 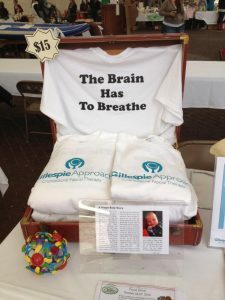 She was introduced to Gillespie Approach–Craniosacral Fascial Therapy through The Family Hope Center many years ago and found the Gillespie Approach to be the missing piece in her practice. She immediately began to incorporate Gillespie Approach–Craniosacral Fascial Therapy into all her healing sessions, and her clients experienced the profound benefits of unwinding chronic fascial strain. Holly Steflik loves teaching and became part of the Gillespie Approach–Craniosacral Fascial Therapy Core Group in 2014. She enjoys working with all ages and especially loves working with children and babies. Holly Steflik studied sociology at UCLA, completed her master’s degree in deaf education at California State University at Northridge, and taught deaf and hard-of-hearing children in South Central Los Angeles, California, and Santa Fe, New Mexico. Holly Steflik is an advanced BodyTalk practitioner and BodyTalk instructor. She also loves to explore faraway places and is passionate about teaching and sharing Gillespie Approach–Craniosacral Fascial Therapy with people all over the world. She has been part of two medical service trips to remote villages in Nepal and Peru spreading Gillespie Approach–Craniosacral Fascial Therapy globally. 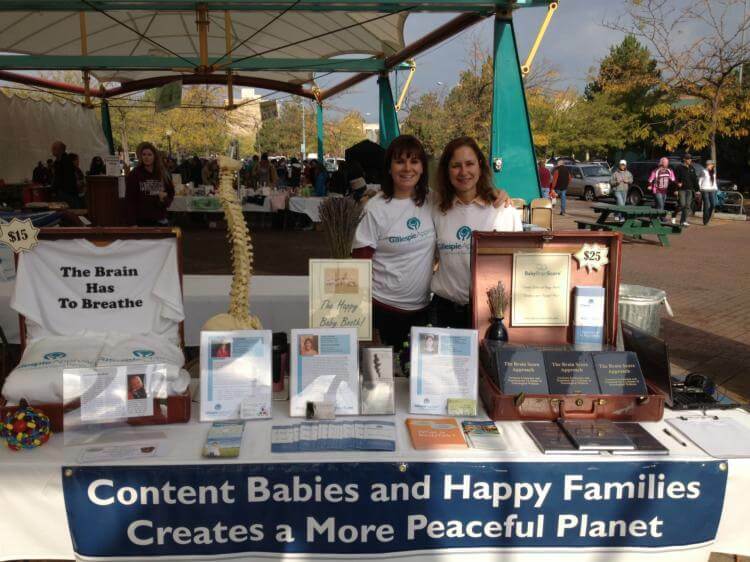 Holly Steflik and Kim Sherlock make up the Gillespie Approach–Craniosacral Fascial Therapy Global Team and love teaching and sharing this modality around the world. They have trained hundreds of body workers, health practitioners, parents, teachers, etc. to incorporate Gillespie Approach–Craniosacral Fascial Therapy into their lives and their practices. Please contact us if you wish to coordinate a course in your area. To learn more about Holly Steflik’s practice, visit HollySteflik.com. Contact her by email at [email protected] or call 919–619–0165. Barry introduced me to craniosacral fascial work in my Pfrimmer deep muscle class back in the 1980s. I’ve had a very successful career in massage for nearly 20 years using mostly MFR, craniosacral, and Pfrimmer deep muscle therapy. But your course was over and above my expectations. It was user friendly. Much of it covered what I already knew, but I discovered some missing links that have made a world of difference in my work. For the first time I can actually feel the craniosacral movement even though I was doing MFR work for 11 years. I’ve gained a far better grasp of the cranial anatomy and the relevance of the cranial bones to each other when one is tweaked ever so lightly. The biggest eye opener is the sequence of how we do the work. I am able to release fascial restrictions much faster now since taking your course, with less effort. One client with chronic fatigue and fibromyalgia, who I’ve been treating for years, had far more energy with no pain and better eyesight following her first CFT session. All of her improvements have remained with her, and she continues to get better with each session. The chiropractor in my office has seen a remarkable difference in her patients’ spinal columns and mental attitude since I have been using CFT. In fact, she is so impressed with the work that she’s been referring many patients to my home office since there’s not enough time in her office to fit them all in. I have a deluge of clients! For a time I felt like running away from the flood of clients. I’ve been busy over the years but never like this! I can only attribute this to the work you’ve passed on to me, Barry. Thank you. My passion is bodywork. I have been in the health and bodywork field for twelve years and still can’t picture another profession I would rather be in. My education in exercise science provided me with a bridge into the health and wellness field. 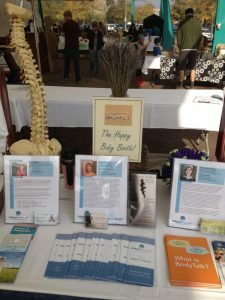 Being a health director at a local center led me into the education and training of massage therapy as it applied to the rehabilitation field. I enjoyed working with athletes as part of their training program. I loved working with muscles in respect to their function and recovery. doulas and lactation consultants and, of course, mothers refer patients to me. To see all the children improve in varying degrees is humbling. It is my deepest intention to continue expanding my knowledge in the bodywork field to be an instrument of healing for those who enter my office. We know firsthand the value of Dr. Barry Gillespie’s life’s work, the quality of the training he offers, and the results we continue to obtain. Many health-care professionals either donate their time or work for a small fee inside Mexico. Massage therapists, Reiki practitioners, physical therapists, body workers, physicians, nurses, dentists, ophthalmologists and other secular organizations have offered their time and talents for decades. When we got back home here in New Mexico after training with Dr. Barry Gillespie in Pennsylvania, we were introduced to a woman, (Dr. San Juana Mendoza-Bruce, a well-trained and experienced medical doctor) seeking help, donations, etc. for several of her clinics in Juarez and Anapra, Mexico. These people are the poorest of the poor along the border. Many live without shelter, no running water, little food, money, or hope. Before we went there, we were already incorporating Dr. Gillespie’s techniques into our work with homeless and abused women, children and families here in New Mexico. childhood development critically reviewed CFT. On our first visit to Dr. San Juana’s clinic, we saw common musculoskeletal problems. At the end of the day, Dr. San Juana said to us in English, “How nice. How marvelous. Everyone you saw said they were treated with kindness and dignity. Everyone said your work was gentle, and you found and relieved many of their pains. We are thankful to Barry for his wonderful training, support, and friendship. 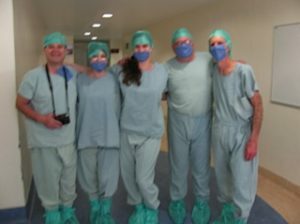 His work is now being done in Mexico and is spreading as visiting physicians learn more. We have now been asked to teach the women in the colonias how to touch the children and massage them and also to lecture to traditional and nontraditional practitioners about the benefits, safety, and use of natural care methods. They even gave us two translators! They have never seen anything like this work, its gentleness, safety and effectiveness. Having a powerful tool to help that requires no drugs/surgery seems miraculous to them. There is sound science behind it that they can understand. When we discussed the cranial bones/sutures (an introduction to craniosacral fascial therapy), we were all speaking the same language! I am glad we were awake for that part of the CFT workshop. Dr. Gillespie is making a beautiful and healing contribution to this world by sharing his knowledge. You know it works when there is no communication other than touch. The continued results speak for themselves. Jim Clear, N.C.T.M.B., L.M.T., R.M.T.I. —Donna Alcorn, R.N., B.S., M. Ed., C.M.T. —Donna Fae Dodson, R.N., L.M.T. —Lisa Rumer, P.T.A., N.C.M.T., P.D.M.T. —Brigid E. Meagher, C.M.T., C.S.T. and S.E.R. —Kristine King, L.M.T., C.M.T., N.M.T. —Michael S. Trammell, C.M.T., N.C.T.M.B.